Whether at work or play, this custom hooded sweatshirt is ideal for spending a brisk day outdoors. Bundle up in this cozy embroidered hoodie with a pouch pocket to keep hands warm and hood for protection against cool winds. 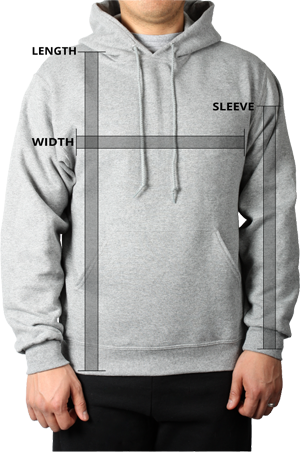 The Gildan Heavyweight Hooded Sweatshirt is your ultimate custom hoodie for a streamlined style. Made with 50% Cotton / 50% Polyester, this custom hooded sweatshirt features a double-lined hood for comfort with a colour-matched draw-cord. A pouch pocket is perfect for warming up cold hands. Pill-resistant air-jet yarn provides a softer feel and a double needle hood, 1x1 ribbed cuffs and a waistband with Lycra® add durability and fitted comfort to this custom embroidered hoodie.